This machine is the showpiece of all 6-oz. deluxe poppers, and features antique styling, etched glass, and cast filigree. Popper is 19" x 21" x 33.5" tall. Separate cart is 24" W x 33" L (includes wheels) x 31" tall. Lighted cabinet interior. 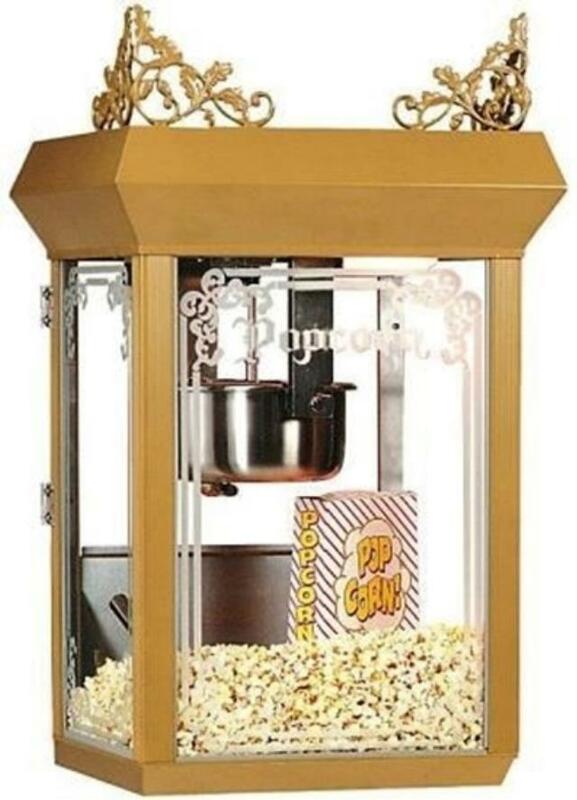 Heated popcorn deck keeps popcorn fresh. 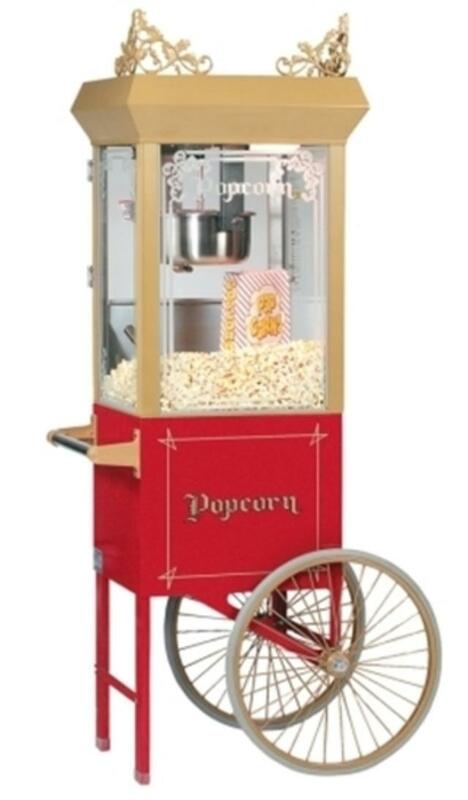 * Please call us for any questions on our popcorn 6 oz gold w cart rentals in Ft. Wayne IN, Warsaw, Syracuse, Auburn, South Bend, Indianapolis IN.